I was Team Mal to the DEATH in Shadow and Bone. Yeah, the Darkling was hot in a not-so-vaguely sinister way, but friends-to-lovers will win over Bad Boys every, single time. You’d think that I’d have learned by now not to speak in absolutes . . . but you’d be wrong. 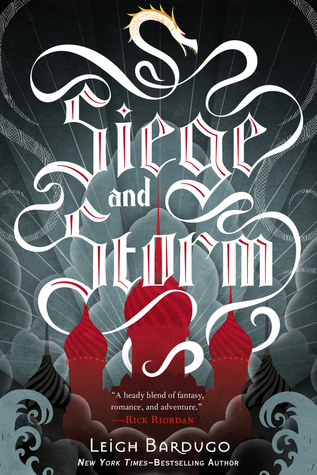 Siege and Storm, the second installment of the Grisha Trilogy, begins with Alina and Mal on the run after the big showdown with the Darkling at the end of Shadow and Bone. The showdown in which the Darkling’s true nature was unquestionably revealed. But I’ll listen . . . SO. Following the obvious (seriously obvious) trail of gold hairpins, the Darkling finds Alina and Mal, captures them, and predictably, uses them against each other to secure their cooperation on the way back to Ravka. How are they getting back to Ravka? Maybe better, b/c Sturmhond is a tinkerer. He likes to find ways to improve old things, and builds completely new things. He’s a . . . wait for it . . . steampunk pirate. I don’t know about you, but I LIKE it. So we’ve got Mal, the childhood friend, the Darkling (pure EVIL), and now Sturmhond (a PIRATE). There’s really not much I can say about this book without spoilers, but I can tell you that Mal . . . Mal is kind of hard to like in this book. He feels like he’s being left behind, like he no longer fits into Alina’s life, and while BOTH of them need their heads banged together REPEATEDLY, b/c all of the loneliness and longing could have been avoided if they would just TALK to each other. GAH. It’s been days, and just thinking about it has my blood pressure through the roof again. All of these misunderstandings are helped along by none other than Sturmhond, who has a very mercenary interest in Alina. At least it starts that way. But after awhile, it seems to become something more, and Mal is acting like such a loser whiny-baby that you start to wonder . . . So, yes, I would definitely say there’s a love triangle this time. Even though there was arguably one in the last book as well, it never felt like one to me. This one . . . this one had me confused and bewildered, and while I like that, I know that MANY of you think that sort of thing is the opposite of fun. So. Prepare yourself for that. There is also foreshadowing aplenty. I don’t know what any of it means, but I took note, and I have suspicions . . .
ALSO—the thing that happened last time that was a bit too convenient? This time Bardugo nailed it. It was sudden, and shocking, and COMPLETELY believable. Maybe the difference was that this time “it” wasn’t a loophole that allowed Alina and Mal to escape. This time “it” was what made it possible for all hell to break loose. Now that I’m thinking of it, there was also a loophole, and yes, it was still a bit of a stretch, but no where near as bad as last time. I’ve read the first book in this series and I really enjoyed it, but I haven’t read this one yet. Need to get to it soon! Sounds great Jessica, I was wondering on what the second book is like because I didn’t really understand all the raves for the first book (shock horror). Glad it doesn’t suffer from middle book syndrome! Although I’ll have to prepare myself for the love triangle. Yeah, but as far as triangles go this one isn’t too bad. I hope you check it out some time—LOVE this series. I didn’t love this one quite as much as the first book, video game quest goals and all that. But I did like Stormhund quite a bit, and liked leaving behind court life. I did like it well enough to make the third book one of my most looked forward to reads this summer. Yes, even though I did feel like this was a strong second installment, I still didn’t like it quite as much as the first book. I loved Sturmhond too, and I can’t wait to see how it all ends. Ruin and Rising is taunting me even now. I just have to say… STURMHOND. Me too! In like 10 minutes, and I cannot wait! Okay, how great is the term “tsarpunk?” Love it. The one thing I couldn’t stand about this one was the constant lack of communication between Mal and Alina. Like you said, those two need a serious wallop upside the head. Yes, I know you feel lonely and insecure but – newsflash! – maybe if you had an honest conversation about it you’d realize things aren’t actually that bad. Sheesh. Pirates!!!! I read the first book and I thought it was good but it didn’t blew me away. I agree with you about the love triangle in book 1. I didn’t feel like there was one. This pirate, though, is kind of making me want to read book 2 soon! I never really liked Mal but I really grew to dislike him in the second book. I did feel bad for him a bit because he didn’t seem to fit into her life anymore but he’s just so vanilla, I can’t get behind him. But Sturmhond!!! Boy, he was a great character. Darkling’s a great (evil) character. Alina’s a great character. Mal’s just meh. On to Rise and Ruin!! Mal is sort of hard to like in this book…understatement of the year, LOL! I wanted to kick him through a window in this one! First of all, it drives me nuts when characters think the can drown their sorrows in booze. Then he goes and kisses another girl in his drunken stupor. Yeah, GTFO Mal!!! Yeah, I kind of lost my mind when that happened too. Whiny. Loser. Baby. And it wasn’t just booze, it was drunken BRAWLS. NOT my favorite Mal. I’m so glad that Seige and Storm didn’t disappoint, Jessica. It sounds pretty amazing. I’m planning to read Shadow and Bone (gah! by the end of the month) for my Jumble Your Genres challenge. Now I’m really excited! I think you’re right 😉 And it’s a sign I think – because first I see this review and then today Audible had a BOGO sale and I picked up the books! WOOT! Definitely a sign 😉 Can’t wait to hear what you think about them!! Jess, my lovely, lovely Jess! I’m so ever-sorry that I’m not reading your review, but I’m avoiding all and every review, opinion and spoiler. I don’t want to know any opinions until I’m done with reading this series myself. But I did peek at your rating and it brought a smile on my face 🙂 I’m glad you enjoyed! This is something that I agree with, ha. 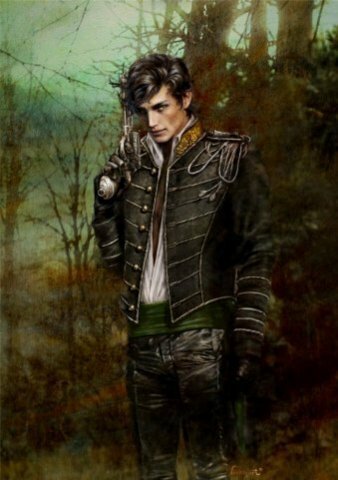 😉 I loved Mal in the first book, loved him in the second book, despite the fact that he isn’t as brilliant in it, and don’t think of the Darkling as anyone who should be love interest material. I have to admit that I never thought of the situation here as a love triangle until everyone started waving the Team Darkling flags. But Ruin and Rising is here! Along with all the answers. I can’t wait to dive in soon. 🙂 Great review, Jessica! You have read this one, haven’t you? I thought the only one you hadn’t read yet was Ruin and Rising (which I read yesterday btw 😉 ). If you haven’t, you better get on it—we need to fangirl! I.AM.A.NOOB. I was so worried that it was book 3, that I didn’t even realize you were reviewing book 2. *bangs head on desk* So now, I finally read your review and you nailed it. The love triangle was in full force in this book (not so much in the first) and Mal just couldn’t seem to compete, I actually kinda fell bad for him. I’m not too sure what to expect in book 3 but I can’t friggin’ wait! Beautiful review my friend and I’m kinda really love with the illustration. Where did you find it? Reminds me of Laini Taylor’s husband draws. CLICK IT!! It’s one of Leigh Bardugo’s pins and the pic is hyperlinked. And it’s cool, LOL. I mean, it DID post on R&R’s release day, and I am kind of a fanatic. But sadly I didn’t get an ARC of this one. And yeah, I felt bad for Mal too, but not bad enough to not be annoyed with lamewad antics. Thanks, lovely! Gah! I need to get caught up on this series now that the third book came out today! It has been a long time since I read the first book but I am hoping I remember enough that I won’t have to do a reread of it. kindlemom1 recently posted…Tell Me Something Tuesday! Thanks! And YES, you do need to get caught up, b/c BOTH books 2 and 3 are amazeballs. SO good! You had me at steampunk and PIRATES!!! I’ve seen this series around but haven’t tackled it yet. I usually like to start when a few installments are out so I think it’s the perfect time to go out and get these. Thanks for sharing your thoughts and yummy visual Jessica! I read first book and liked it, but after I heard about the love triangle didn’t read second book… now I don’t know what to do. I think I’ll wait for you review of Ruin and Rising to decide. Sounds like a plan . . . if only I knew what to say in the review. I think I need a couple of days to reflect, LOL. 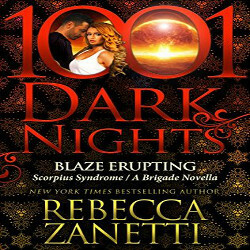 I just listened to this one and I liked it as well even though the Darkling was mostly absent. Sturmhond is awesome and I liked the developments. I hated the romance stumble though. Still I am anxious to read the finale. Yeah, the romance stumble was no good. 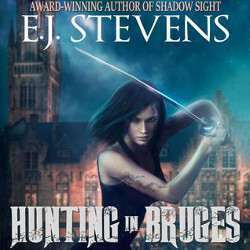 Book 3 jerks you around a bit before settling, but that’s expected, AND there is much more Darkling. That’s all I’m saying about that . . .
OMG, Sturmhold was awesome! I’m Team Mal on this one. I’m nervous to listen to the last book. These were great on audio! I didn’t read all of your review, Jessica, since this is yet another series I have on my TBR shelf but haven’t had a chance to start again. I love that you think it’s unique, creepy and twisted though. That definitely made me want to push it way up on the mountain to read it sooner than planned! I hope you’re having a wonderful week 🙂 Happy reading. Thanks, Lexxie, and I hope this series hits the top of your pile eventually, b/c it. Is. Fantastic. Seriously, one of the best YA fantasy series I’ve read. PSSST I have to ask though, please tell me you’re still Team Mal .-. I am DYING to read this series. I just need more time!!! We ALL need more time for books, LOL. I hope you find it though, b/c this series is stupendous. Great review Jessica! I really enjoyed this one too, BTW it’s fabulous on audio. Here I go pushing the audio…LOL, but really! All those characters were beautifully brought to life. LOVE this book. LOVE book 3. LOVE this series. I just finished yesterday, early evening. Don’t know what I think yet, I’m still in book hangover mood. 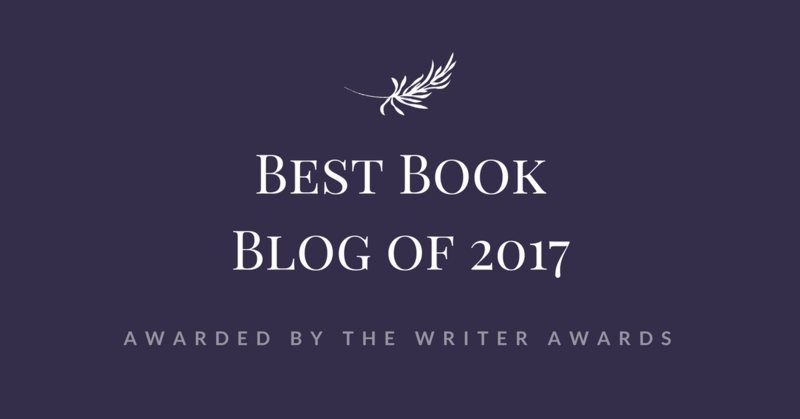 Hopefully my thoughts will be more coherent in a day or two, and I hope you loved it too. Really have to pick this series up, I guess. “tsarpunk” IS awesome, and YES, you do need to try this series. You like fantasy, right? I am going to relisten to the first one next month. I remember it not resonating with me but I have read more “fantasy” types books since then and I think it might be better on a second go around. BOOK SIGNING?! You did that on purpose to make me GREEN with envy 😉 Lucky you! And yes, you should get it before hand, and then you can pick her brain! LOL. But seriously, Team Mal 4-life. I like Sturmhond well enough, I just want Alina and Mal to get their HEA. WHAT IS THIS DARKLING PREQUEL YOU SPEAK OF??! Damn them, INDEED. NOW I have to buy TWO copies of this book. ARGH. Uuuuugh … I haven’t read the first book yet. Sometimes I want to red it really bad and sometimes I’m just like ‘meh’. I should read it and get it over with. Once you read it, you won’t be so MEH, I bet. Hmph. Wow Jessica! This series sounds so great! It is good to see the author nailed the ‘Thing” this time around! Fab review! Whoa, Jessica–that theory about Mal blows my mind! Whaaaat. Do I have time to reread these two before I settle down with R&R? I feel like I should, but I don’t think I’ll be able to resist R&R this week! Blast. Well, I look forward to hearing if you were right. 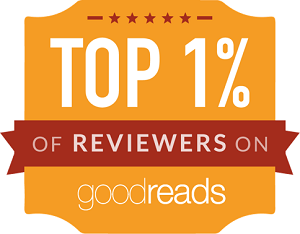 Your review was fun, entertaining and hooked me on the books. I’m liking Sturmhond and wouldn’t mind meeting up with him. Odd – this blog isn’t saving my comment info anymore in the entry fields – it always used to. What HAPPPENED CRUEL CRUEL COMMENTING WORLD WHY DO YOU TORMENT ME!!!!! Anyways onto the book. Tsarpunk and that illustration HOT DIGGITY Damn. I’m so all about Sturmhond I think he’s the best guy so far in the series. I’m not all about the Darkliing either glad to hear you aren’t. Anyways BN just called saying they got my copy in of the exclusive edition – guess I know where I’m going tonight. I’ll ask Carmel to take a look when she gets back from her honeymoon. Probably something to do with adding commentluv. Sorry! There’s really no telling what will set me off, LOL. But you AND Marcela, and plenty of others besides loved it, so I think I’m safe. AAAAh I know I need to try this series, between your review and all the ones I read on many blogs, I’m sure I’ll love it! So curious! Great review! I’m sure you’ll love it too! I hope you try it soon, b/c it really is one of the BEST YA fantasy series to come out in awhile IMO. Thanks, Melliane! 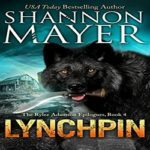 I enjoyed the first book in this series and started this but for some reason I haven’t picked it back up – I must get back into it soon. I wasn’t a fan of the Darkling or Mal (and after reading the comment above about him kissing someone else on the booze I don’t think I’ll like him in this one) so I’m really curious about Sturmhond. Yes, I’m pretty sure Sturmhond will get you through this one. He’s a PIRATE. He’s hilarious. AND he’s a flirt. I adore him. I hope you get back to series so you can see how great his is for yourself 😉 Thanks, Sharon! I am going to have to bug Tabitha to get my little hands on these ones… Tabitha, you have been warned. Oh no worries these are available for grabby hands anytime! Oooooh I need to read this series sometime. It has been on my TBR pile for quite a while but I won’t get to it anytime soon. Oh well… something to look forward too 🙂 Great review Jessica!!! I hope you do get to it eventually, b/c it is one of my favorite YA fantasy series. Thanks, Chanzie! Wow Jessica, fantastic review! I need to read this series, from the world to the character interaction it sounds splendid! Great review Jessica! And would you look at that! You were actually partly right about your spoiler speculations! I will comment on that more, equally cryptically on your forthcoming Ruin & Rising review! Like you, I was Team Mal all the way on S&B because as enticing as the Darkling could be, I was never sold on him as a love interest really. He might have been fascinating and all that, but I always thought that Alina was more fascinated by his power than by the Darkling himself. And Strumhond… well, he has more potential as love interested, cause he’s a rogue and fun and a bit like Han Solo, but he always seemed to be too focused on his goals to really pull me to his team. Mal was a pain in the arse in the book and it was hard to remain Team Mal sometimes, even if I knew he was suffering and longing and still loving Alina very much. Yeah, heads banged would have been well deserved! I felt the book was running around in circles a bit to get to the already expected conclusion, but reading the final book puts in perspectice whether this one suffered a bit from middle book syndrome or not as I originally thought! And yeah, I felt like there was some unnecessary angst in this one. When I want to bang heads, I start deducting stars when it goes on for as long as this did. BUT I still loved meeting Sturmhound and Tolya and Tamar, and I (clearly) still thought it was an awesome book. Okay, okay, I give in. I will finally start this series soon. I can’t wait any longer. Why I did not comment on this yet? I have. I haven’t published my review yet but I finally wrote it. I waited so long I don’t remember much. Which I guess shows I didn’t like it as much as the first book. I didn’t like it quite as much either. BUT the issues I had with book 2 weren’t a problem in book 3 . . . there were new issues, LOL.